‘Insurance is a subject matter of solicitation.’ But is this really the case? At the end of every advertisement released by every insurance company, you read the following words: ‘Insurance is a subject matter of solicitation.’ It essentially means that insurance has to be requested or asked for, not sold. But in real life, our experience is different. Only in the case of motor insurance do we ask for an insurance cover, as without insurance cover the transport authority refuses to register the vehicle in the first instance, and for subsequent years it is legally required to have at least a third-party liability policy, without which, it is illegal to drive the vehicle on the road. All law-abiding citizens, therefore, normally ask for an insurance cover and it is a thriving business for insurance companies, due to the increasing number of vehicles being sold in our country. In the case of all other forms of insurance, it is generally hard-selling by the insurance agent that generates an insurance policy. Nevertheless, whatever be the attraction of an insurance policy, it is up to us to decide whether we need insurance or not and nobody can influence our decision. Once we decide to go for any kind of insurance, basically there are two important criteria that influence our decision, and here comes the role of the Insurance Regulatory and Development Authority (IRDA). The first and the most important criterion is to know how credible is the insurance company, how safe it is to rely upon their word, and whether we can be certain about getting our money back when the event covered by the insurance happens. Till a few years ago, we hardly asked these questions, because we had only public sector companies, namely LIC of India for life insurance and four public sector general insurance companies for all other types of general insurance. As they are owned and managed by the Government of India, we took for granted that it is safe to rely on them and we parted with our money without raising an eyebrow. But with the opening of both life and general insurance, we are now flooded with more than three dozen companies in the private sector, owned and operated by known and unknown industrialists of our country and their tribe is growing every year. It has helped in generating competition, providing choice to the consumer and product innovation, which are no doubt in the best interest of the insuring public. But this has created the problem of selecting a safe and secure company, which will deliver the goods when the time comes, and will not go down under. A few days back, I happened to read in a reputed business paper, in their Q&A series, the following question and answer under the heading Insurance. Question: Does it make sense to buy insurance from multiple service providers? I want a term insurance for Rs50 lakh. I am considering ..... (a private sector insurance company) for Rs25 lakh and ..... (a public sector insurance company) for Rs25 lakh. The reason for considering ..... plan (of the private sector company) is because it is cheaper, while ..... (the plan of the public sector company) is trustworthy and will remain solvent. Answer: The IRDA has laid down strict guidelines on the solvency margin and the functioning of insurance companies in India. Hence you can be rest assured that all insurance companies will pay the claim in case of an unforeseen event, provided the insurance policy is not acquired by suppressing material facts or giving incorrect information. You can buy multiple policies from different life insurance companies, but you must disclose the same in the proposal form. The moot question is how far the private sector insurance companies can be considered as solvent and whether the IRDA guidelines are enough to protect the interest of the policyholder for all times—good and bad times to come. The agents who approach you for insurance never know the financial strength of the insurance company, whose product they are selling, except that they brag about the foreign partner who, they say, is a strong company in the country of its origin. Can we really believe that compliance of IRDA regulations is a guarantee for honouring all commitments made by an insurance company? Past experience, however, does not inspire any confidence in this respect and there is a need to find a way out of this predicament. During the recent financial turmoil in the West, one of the biggest insurance companies in the world was on the brink of collapse and if the US government had not bailed out the company, there would have been total chaos in the world of insurance, causing irreparable damage to the industry. Nearer home, we have seen the collapse of CRB Capital Markets, which operated under stringent regulations, but failed under the very nose of SEBI, whose regulations are supposed to provide protection to investors. I realised the agony of those unfortunate investors who had invested in this group’s ventures only when I read an advertisement of a notice regarding payment to fixed depositors/bond holders of CRB Capital Markets Ltd (in liquidation), published in The Economic Times of 3 May 2011, by the Court Appointed Disbursement Committee. It has been almost 15 years that CRB has collapsed. So, the fact remains that regulation or no regulation, there is no guarantee that all insurance companies will fair well for all times to come. With the value system in the corporate world being what it is, with the level of corporate governance being periodically questioned, with the bureaucracy stooping so low as to allow their kith and kin to fly planes without proper licence, there could be a slip between the cup and the lip and IRDA could be helpless at times to prevent mishaps in the insurance industry as well. However, this is not a reflection on the soundness of any of the existing companies, nor does it imply that some companies are better than others. Then how can IRDA protect innocent policyholders who contribute their hard-earned money to buy an insurance policy in the hope that their future would be secure in the hands of the insurance company which issued the policy, with several conditions written in small print that few can read, much less understand. The only solution to this problem is for IRDA to formulate a detailed plan of action and implement a Policyholders’ Protection Fund, to which every insurance company authorised by it should contribute every year from the premium received by them, and this Fund should be independently managed by the trustees appointed by IRDA. The objective of this Fund should be to compensate policyholders in the event of failure of an insurance company, in the country, to honour its commitments. This Fund should be constituted on the lines of the Deposit Insurance Corporation, set up by the Reserve Bank of India to protect depositors in the event of a failure of banks in the country. IRDA will be blessed if it takes up this matter in right earnest and puts in place an organisation independent of the insurance companies that will bring lasting benefits to the large number of policyholders in this country. The second criterion people use to decide to go with an insurance company is the record of prompt settlement of insurance claims. The insured will be always worried over the delay in the settlement of claims, as the purpose of insurance will be defeated, if the claims are not settled promptly and unduly delayed, putting the policyholder into considerable financial strain and inconvenience. While the insurance company benefits from delaying the payment for whatever reasons, the insured suffers both, the financial loss and the mental agony, which cannot be quantified. No insurance company worth its name will admit delaying settlement of claims; rather every insurance company will proclaim that they will ensure that all claims will be settled promptly, subject to claims being in order. Though there are certain regulations directing payment of interest for delayed settlement, beyond the stipulated period, they are skewed in favour of the insurer, giving them lot of flexibility to delay payment. 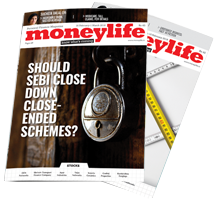 Recently, one of the readers of Moneylife wrote to the editor, describing how when he submitted his policy—with all necessary documents—to a public sector insurer for payment, he was informed that they required 10 days processing time to settle the claim, which by no means can be considered reasonable. And he could do precious little to get back his money earlier. While considering how to put an end to this perennial problem faced by policyholders, I was reminded of an incident told to me by a friend, residing in London. When a breadwinner of an NRI family died in London, the family members, that is the wife and two daughters, were in great sorrow. However, a well-wisher of the family informed the insurance company about the death of the person to whom it had issued a life policy. Hearing the news about the demise of the policyholder, the insurance company dispatched one of its representatives to the residence of the deceased, got all the claim forms filled and signed by the claimants within three days of death. Perhaps the most surprising part of the story is that the insurance company delivered the cheque for the claim amount within seven days of the death of the insured person. The payment included the policy amount as well as the interest on the policy amount for seven days. Whether payment of interest on the policy amount from the date of death was a voluntary gesture on the part of the insurance company or a mandatory requirement under the local regulations is not known, as the incident happened over 15 years ago. But the fact remains that the insurance company earned goodwill and customers through these acts, which are commendable and praiseworthy. Every insurance policy contains an assurance to pay the amount insured on the happening of a certain event, whether it is accident, fire, death or whatever. This is inscribed in all policies issued by the insurance company. Technically, therefore, the amount becomes due on the happening of an event, and from that day, the amount due under the policy belongs to the assured and or his heirs in the case of a life policy, though actual payment of money may take some time, after completion of legal formalities. Based on this principle, every insurance company should pay interest on the policy amount from the date of happening of the event, even without asking for it. Legally, ethically and practically, the insured is entitled to interest on the amount due for the period till the payment is done, for the simple reason that on the date of the event happens, a liability arises on the part of the insurance company to pay the insured amount to the assured. The two steps suggested above may appear to cast a considerable burden on the insurance companies in the short term, but taking a long-term view of the industry and the need to develop trust and confidence in the concept of insurance in our country, it will go a long way towards developing this industry on healthy lines and serve the cause of policyholders and the insurance companies equally and admirably. Because only then will one be able to see the general public asking for insurance without any hard-selling, in keeping with the maxim ‘insurance is a subject matter of solicitation’. This article has been written with the interest of the client only. I personally feel that the insurance sector as a whole can grow in a healthy way, if ALL the stake holders, like the insurance companies, intermediaries and Clients behave properly. Although the conduct of some of the companies leaves a lot to be desired, many companies; both in Government and Private sectors are behaving well and have the Intention to make claim payments. But as an insurance advisor, i feel, here there is a lot of immaturity on the part of the client also. Even when the client gets very good claim servicing from the company and the agent, the client again keeps on looking for cheaper and cheaper premiums. He is unable to understand that, to service a policy, the company has to generate revenues. This is NOT a social sector, where the company gets a grant from the government to pay out the claims. The writer has himself written in the article that the client is not ready to pay the higher premium to the company, on which he himself has faith. The other company is charging half the premium. Can anybody tell me a way, by which i can regularly get my full month salaries after working for half a month each month. We get so many instances, as an advisor, where the client wants us to supress facts in the proposal form, so as to get the insurance cover. Such sort of malafide intentions will have to stop, for the insurance sector to grow in a healthy way. I wish all the constituents of the insurance sector including the clients, develop themselves into mature participants. Its a good article. But in my view the author has got the very meaning of Solicitation wrong. In fact exactly opposite to what it actually means. "Insurance is a subject matter of Solicitation" means that insurance company or its representative is within its right to solicit or ask for business from the clients. To further clear this; most commonly this word is used when a prostitute looks for clients outside her premises or on streets. In many places in the world, Solicitation is a crime. Wishing All the best to insurance advisors! This is an article to be read by all the policy holders taken from the private life insurance companies whose business is in jeopardy as per IRDA reports. How come we can expect our money will be safe with such PVT LIC's.? In India people can be easily taken for a ride at any given point of time. Our Govt, politicians , and other so called controlling agencies will never come to the policyholders rescue if any untoward incident happens. Hope for the best or worst in coming times. please.please.please DO NOT expect the IRDA to look after YOU. YOU need to look after YOURSELF. the IRDA is a regulator.anyone with common sense or basic economic literacy will tell you that regulators are captured not by consumers but by players who influence the regulator for their benefit. this blind faith in the omniscience of regulators beggars belief.it is better to depend on moneylife than IRDA for moneylife is motivated to dig for dirt.IRDA isnt. in anycase,why should insurance be a matter of solicitation -seems highly hypocritical and self righteous to me.its just like food or clothing -to be sold by advertising. Insurance is a long term investment plan..
Health cover by way of mediclaim has become a ripoff. The premium rates are knee jerk back of the cover arbitrarly worked out without any relevant mortality rates. The greatest untenable act is the unilateral withdrawal of cashless even after collecting load and imposing TPAs who resort to mindless rejections and deductions. New India claims it is not aware of the notices on Cashless issued recently by the Delhi and Bombay High Courts. The Portability said to be operationalized in July is full of half baked issues which make it abort before take off. It is imperative that it be subjected to public consultation before it is formally notified. Sir,u have brought out the accountability very well. Kindly note that IRDA is to protect the interest of policy-holder. As mentioned by your kindself, the IRDA will have to deal with all insurers that (i) all policies have been approved by IRDA(ii) all incorrect, ambiguous terms to be defined(iii) all proposal must mention all terms, conditions, exclusion& definition in a language the buyer can understand(iv) all policy must have approved policy wordings (v) specific period mentioned in policy the time duration of settlement of claim(vi) mechanism of dialog for the aggrieved client(vii) at present the insurance company take unilateral decision , no response to the representation & all most all have to take legal recourse. (viii) all auditted reports of the Insurers showing their individual & group schemes, the premia, claims, no.of rejections, claim paid & amount spent on legal & interest in all rejected contested & ultimately paid claims. then 'solicitation' may be judged properly. very good and thought provking article. kindly post your views on my comment also. 1. life insurance business is a very capital intensive and long term by its nature. 2.NO one likes the thought of his own death or dis ability or death due to accident or critical illness. 3.All life co with a foreign tie up started with a huge expences like leasing offices in posh/centrally located and paying heavy only next to I T industry to sales /distribution staff. 3. The regulator itself new to understand this high front loaded ULIPS which simply looted innocent policyholders. 4. due to financial illiteracy prevailing in india these these co could not find profesionals to carry out the business succesfully. 5. As a result a high number of lapsed, paid out polices made the industry it self into losses. these are my personal observations. ICICI Lombard’s 2010-11 audited financial results have been a revelation. The company, India’s largest private sector general insurance firm, had clocked profits in all divisions of its business in the last fiscal, but has now reported losses in all its segments. Is this a sign of the challenges that general insurance companies are now facing? 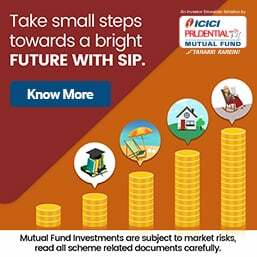 ICICI Lombard, which had clocked Rs143.93 crore in profit after tax for 2009-10, has declared losses of Rs80.34 crore for 2010-11 (after setting aside Rs2 crore for tax provision). This is indeed a setback for the largest private sector general insurance company. The poor performance has happened due to the high claims incurred in all its segments. Is it a problem with insurance underwriting? ICICI Lombard's premiums are not on the lower side, when compared to new entrants in the insurance market. Does it mean that other private insurance companies may be headed towards similar problems? On the other hand, government insurers are also struggling due to high losses in the general insurance sector. It is surprising that every segment of business that had reported profits for the company has now reported a loss. The 'fire' segment had operating profit of Rs5.12 crore in 2009-10, but has now reported Rs27.07 crore in operating losses for 2010-11. 'Marine' had operating profit of Rs5.25 crore in 2009-10, but now has Rs22.20 crore in operating losses in 2010-11. 'Miscellaneous' had operating profit of Rs4.78 crore in 2009-10, but has Rs131.36 crore in operating losses for 2010-11. The claims incurred (net) for the 'fire' segment increased from Rs65.81 crore in 2009-10 to Rs112.21 crore in 2010-11. 'Marine' had increase in net claims incurred from Rs26.68 crore in 2009-10 to Rs47.22 crore in 2010-11, while the 'miscellaneous' category had a jump from Rs1,855.89 crore to Rs2,571.21 crore for net claims incurred in the same period. Rohan Dukle, director, Magus Corporate Advisors, told Moneylife, "With total de-tariffing of the non-life industry post-2006, resulting in major price wars in hitherto profitable segments such as fire, engineering and so on, there is increased pressure on the bottom-lines of insurers. This factor, coupled with lower ceding commissions has resulted in tremendous pressure on insurers, forcing them to reconsider pricing. With the constant entry of new players in the non-life segment, this pressure is not expected to reduce immediately." ICICI Lombard's retail insurance products include Car Insurance, Health Insurance, Travel Insurance, Two-Wheeler Insurance and Home Insurance. It has almost 25% market share among private insurers. Its overall market share (including government insurers) is about 10%. ICICI Lombard General Insurance Corporation is the largest private sector general insurance company in India with a Gross Written Premium (GWP) of Rs4,251.87 crore for the year ended 31 March 2011. The company had healthy increase in GWP by 29.04% from Rs3,295.06 crore in 2009-10. The company is a 74:26 joint venture between ICICI Bank Limited, India's second largest bank (with consolidated total assets of over $100 billion as of 31 March 2010) and Fairfax Financial Holdings Limited, a Canada based $30 billion diversified financial services company engaged in general insurance, reinsurance, insurance claims management and investment management. Raj The write up on ICICI Lombard financials needs elaboration on its Health Insurance sector that all claim to be "bleeding". Both motor for years and now health continue to bleed on account of rampant malpractices in fraudulent claims and extremely flawed tariff structures. Health which is of a more recent origin in India, follows a knee jerk premium policy as is seen with Reliance hiking it by 500% in the wake of high claims and IRDA feigning ignorance. IRDA is a toothless watchdog that can neither bark or bite! It is time it wakes out of its slumber and defers the so-called portability to Jan 2012 after subjecting it to objective debate and discussion by seeking objections and suggestions. The present one is extremely half baked and anti-consumer and needs to be put on hold. ended March 31, 2008, compared to the earlier loss ratios of 122-127%.